Scouts | Soldiers & Sailors Memorial Hall & Museum Trust, Inc.
Our educational programs are unique and promote learning in a fun and engaging way. All scouting programs are scheduled on a first-come, first-serve basis. Scout leaders are encouraged to reserve a date as early as possible. Saturday dates are available; however, you must have at least 10 scouts in order to reserve a Saturday program. There are afterschool programs available for smaller groups. All scout programs cost $10 per scout and chaperones are free. 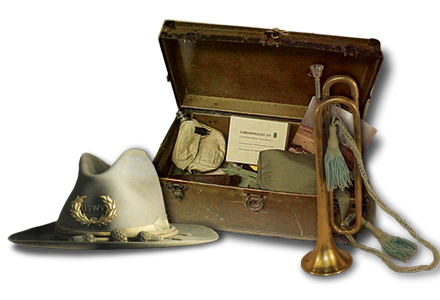 Girl Scout troops interested in visiting Soldiers & Sailors Museum please refer to the Group Tours section under Education & Tours. Cub Scouts programs are available for all levels and include learning about the importance of honoring veterans, stories about local heroes and important symbols of patriotism. The program also includes a presentation about Flag Etiquette and the history of the U.S. Flag. Each scout will receive a personalized dog tag. The program runs approximately 1.5 hours. Soldiers & Sailors is an authorized counselor for two Boy Scout Merit Badges: American Heritage and Citizenship in the Nation. There are pre-requisites for each merit badge (see below). The programs run approximately 2 hours. American Heritage Pre-Requisite: The scout must learn about their family history and be prepared to discuss with the counselor. It is recommended that if the scout has a veteran in their family, they learn about that individual. Citizenship in the Nation: The scout must follow the news for five straight days prior to the program and be prepared to discuss current events with the counselor. WANT TO BOOK AN EDUCATION EVENT? CONTACT US TODAY!